Contact is made with the client via email or quote request. We meet up with the client and discuss what it is they want. Once we have an understanding of the service we move onto design. The design team creates an idea, a concept, something to use, in illustrated format. The client either approves or disapproves of the renderings, and we either go back to the drawing board or continue onto the next step. Lastly we produce the service required and make sure it comes out as accurately as possible and to the clients satisfaction. In this case however, FrontSeat had a more surprising and last minute request from SABC 2. All steps were rushed through and this was a matter of producing the service at hand immediately with no time to waste, as the client needed it complete within two days. 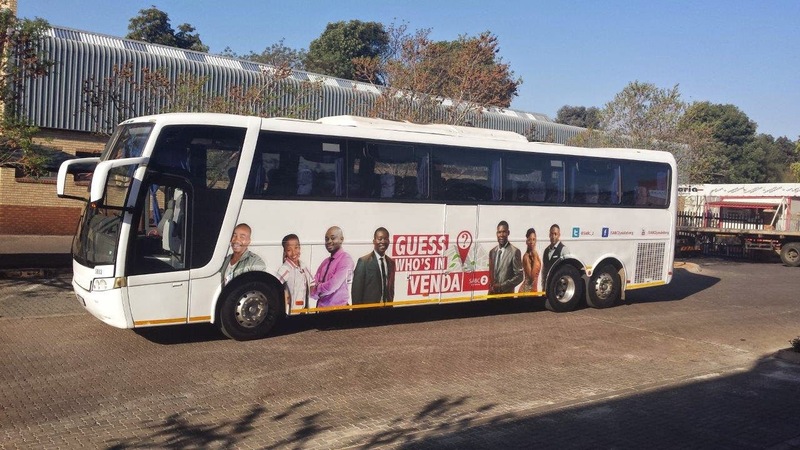 SABC 2 is currently running a campaign whereby they drive selected South African Actors around the country to promote the soapies that air on all SABC Channels throughout the week, and the artwork is constantly changing. 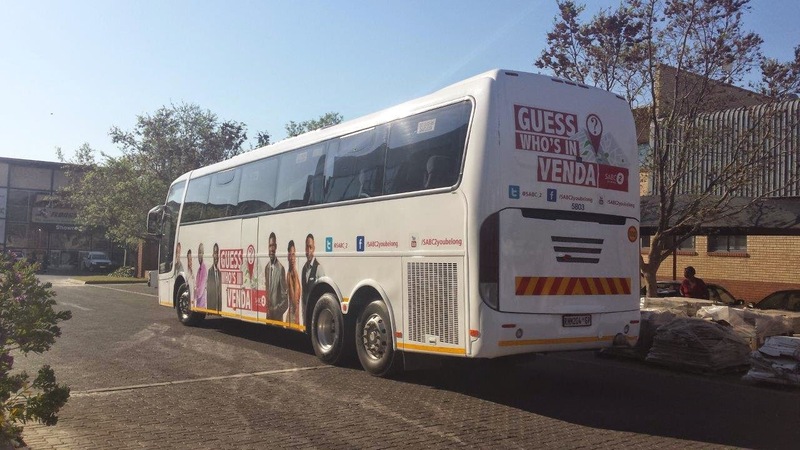 We received a request to brand an entire luxury bus that the actors would be required to travel in, via Tsalena Media. Even though this request was last minute, we took it as a challenge to make sure our clients needs were met. We printed approximately 40sqm of vinyl to brand both sides of the bus as well as the front and back ends, and it all turned out perfectly. The client was super impressed at how fast we were to react to a last minute job as well as how well the work was delivered. The bus was ready for the nationwide celebrity tour with beautiful branding by FrontSeat Group!